Sukaina Walji, ROER4D’s communications advisor and researcher on Sub-project 10.3 attended the 26th ICDE World Conference 14-16 July in Sun City, South Africa and gives a round-up of key conference presentations and on ROER4D’s involvement and presence. 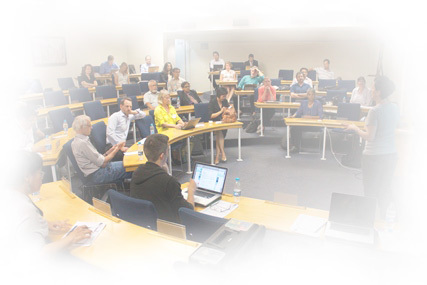 The theme of the International Council for Open and Distance Education’s 26th ICDE World Conference, held 14-16th October at Sun City, South Africa and hosted by the University of South Africa (Unisa) centred on ‘Growing capacities for sustainable distance e-learning provision’. With growing global demand for tertiary education – some 100 million places will be required for the next 15 years – the role of open, distance and flexible forms of education to provide educational access for increasing numbers of students is pivotal. The programme featured engaging speakers from diverse contexts who posed thought-provoking questions and engaged critically with issues regarding the role of open, distance and flexible forms of educational provision. Many well-known challenges were reiterated, with Unisa Principal and Vice-Chancellor Prof Mandla Makhanya kicking off the formal programme by asking what is the role of the university today and how might universities and students take advantage of the opportunities presented by educational technologies. He indicated that learning needs to be revitalised in virtual learning environments and that universities should consider designing the learning environment as an “ecosystem” than just a curriculum. The Minister in the Department for Higher Education and Training (DHET) in South Africa, Dr Blade Nzimande stated that Africa should not be just a consumer of knowledge but producer of post-school education and contribute to the generation of new knowledge. To this end he reiterated the need for affordable, quality post-school education and training and expansion of opportunities in disadvantaged contexts. While his focus appeared to be on the South African Higher Education system, he did mention that meeting Sustainable Development Goals (SDGs) required an expansion of distance education given huge lack of resources and investment in Africa, and that it would not be possible to fulfil educational needs with more contact teaching institutions. To this end he stated that distance provision needs a comprehensive public infrastructure, professional programmes for staff, dedicated distance capacity and network of distance education providers, while students would need reasonable access to affordable connectivity and collaboration between institutions for providing support centres. In terms of open education he specifically mentioned that DHET will pursue an open licensing framework between institutions and promote OER. Open Education was very much part of the discourse of the ICDE Conference, with many keynote speakers focussing on the need to increase not only access but success for students entering tertiary education. In a panel discussion, President of the Commonwealth of Learning (COL) Prof Asha Kanwar laid down a challenge to open and distance education (ODE) institutions stating that these institutions has not taken leadership in the emergence of OER and Massive Open Online Courses (MOOCs), but that with the abundance of content and OER, ODE institutions would need to reevaluate their offerings and be prepared to engage with the opportunities afforded by MOOCs, peer to peer learning and learning analytics. A number of important keynotes engaged critically with some of assumptions made around ‘open’ and forced delegates to consider the more troubling aspects of ‘open’. In a dynamic keynote entitled The Access Paradox, Prof Tressie McMillan Cottom, from Virginia Commonwealth University in the United States, drew on perspectives from sociology and on the lessons learned from the expansion of the US education sector and warned that educational expansion in an unequal society would result in that education becoming a vehicle for reinforcing that inequality – that the benefits of open distance education accrues to wealth, citing an example of MOOCs that (in terms of proportion of participants) appear to favour educated males with higher incomes. She reinforced this point in arguing that schools who could afford to purchase proprietary materials tend to use open resources the most, while the least resourced schools use restricted and proprietary resources, and this seeming anomaly is about political economy, based around who has knowledge and skills to adapt and use open resources. She argued for a need to pay attention to these mechanisms asking how can we move from access to justice when the structure of opportunity is unequal. Associate Professor Laura Czerniewicz from the University of Cape Town (and lead researcher of ROER4D Sub-project 10.3) carried on the baton of asking uncomfortable questions of delegates in her electrifying keynote ‘Troubling open education’ which culminated in a plea to reclaim knowledge as a public good. Setting the scene, she noted that public spending cuts on higher education has ushered in an age of austerity, with students bearing some of the brunt in the form of rising costs of tuition and learning materials (a statement she could not have predicted would play out so dramatically less than a week later in the #feesmustfall movement currently sweeping across South African universities). Other developments included the increasing commoditization and privatisation of knowledge and the franchising of Northern knowledge to the rest of the world under the guise of universal education. Technology mediates many aspects of higher education and universities are looking at how to leverage technology for reducing costs while increasing access and unbundling provision. In this state of affairs, it would appear that open education might be seen as providing a coherent response, based as it is on values of sharing and collaboration. However, Prof Czerniewicz argued that open education is a site of confusion, conflation and serious contestation and that openness is permeable and not necessarily positive. There are degrees of openness, and with the emergence of new cultural practices such as piracy, facilitated by easily-reproducible digital content, open content in the legal sense is only one option. She called for a rethinking of copyright and of Intellectual Property policies in institutions to take account of the needs of both a digitally mediated environment and of an unequal world, and asked delegates to take heed of a current multinational trade agreement – The Trans Pacific Partnership Agreement – which appears to be tightening restrictions such as extending the copyright term from 50 to 70 years and escalating Digital Rights Management. She finished by encouraging academics to assert themselves as authors and agents of knowledge and to develop and support collaborative initiatives in knowledge dissemination. A specific example of a particular initiative where institutions are collaborating in open education is the OER Universitas (OERu). UNESCO and ICDE Chair in OER, Dr Wayne Mackintosh presented a keynote about how the OERu initiative is expanding educational opportunities through enabling students to study courses and count them towards real qualifications. Based on the premise that technology enables the duplication of digital education at no cost, the OERu initiative comprises 30 institutions from 6 regions who together create certified OER-based courses. The model is based on institutions assembling two courses based on OER and agreeing to provide assessment services for credit. Unlike the traditional tertiary package where students pay for the entire educational offering, Dr Mackintosh contended that OER enable OERu to disaggregate services, providing content and interaction services at no cost, while assessment and credentialing offered by partner institutions are offered at a cost recovery level. His fascinating keynote gave a glimpse into the workings of the OERu initiative, ranging from how the initiative is facilitating collaborative course authoring across partners through the use of a wiki enabling reuse of course materials in multiple contexts, to building capabilities using an open source technical infrastructure, and building educators’ skills in OER adoption through the offering of open courses for professional development. He finished with outlining OERu’s priorities in 2016 to launch a free 1st year of study and the implementation of credit transfer and accreditation guidelines across the network of partners and invited other tertiary institutions to join the initiative. Our project is about research into open educational resources for development in the Global South and in particular to investigate the adoption and impact of OER to better inform policy and practice. We were keen to let people in the ICDE community know about the project, the potential of OER and the need for empirical research into how and under what circumstances open educational resources, as part of open education, could impact on the need for quality and sustainable post-secondary education. To this end we submitted a poster abstract, which was prominently displayed in the course’s social spaces and presented in a short stand-up session (download PDF version). 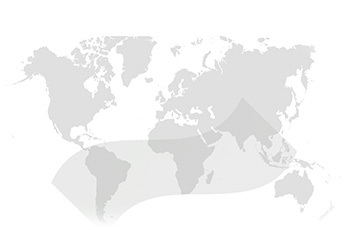 The poster outlined the scope of the project, including geographic and thematic areas of research, detailed the 18 sub-projects currently underway in the network, our approach to open research and sharing the research process, as well as presenting early findings coming in from a number of sub-projects who are at data analysis stages. Prof Laura Czerniewicz and I presented the conceptual framework and initial findings on Sub-project 10.3 in a paper entitled MOOCs, openness and changing educator practices: an Activity Theory case study. Prof Shironica Karunanayaka and Prof Som Naidu also shared the methodological approach for Sub-project 10.6 in a presentation entitled Impacts of OER: What difference does it make and how? ROER4D Advisory Group member Prof Stavros Xanthopoylus also attended the conference. The ICDE Conference and subsequent High Level Policy forum held a day after the conference resulted in a call to action, in which a number of strategic initiatives and policy recommendations were made, including a call to “implement policies and practices which support the widespread access and use of licensed educational resources (OERs)”. As a global research project on the use and impact of OER for development in the global south, ROER4D looks forward to not only following developments but to contribute to the empirical research and knowledge base of how and under what circumstances OER can impact on the increasing demand for accessible, relevant, high-quality, and affordable education in the Global South. Lastly, congratulations to one of the ROER4D partner institutions, African Virtual University (AVU), who won the ICDE Institutional award of excellence. Congratulations also go to Prof Shironica Karunanayaka and Prof Som Naidu who won a best paper award for their paper entitled From OER to OEP: Shifting practitioner perspectives and practices with innovative learning experience design.